All tickets for Main Stage shows are reserved seats and are priced at $17 for straight plays and $20 for musicals. A $1.00 discount is offered to Senior Citizens (65 and over) and Students (18 and under) for Sunday matinees ONLY! To order tickets with your credit card, call the 24/7 ticket at (800) 838-3006. Questions? 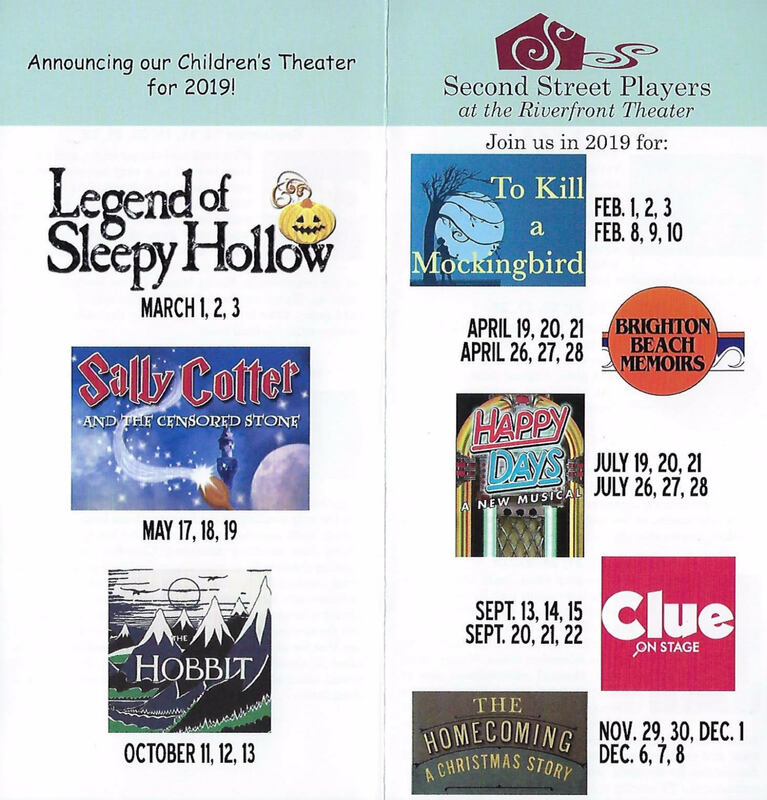 Email us at info@secondstreetplayers.com. Online tickets can be ordered here. All patrons, regardless of age, must have a ticket to attend a show. All sales are final. Exchanges may be requested up to 10 days before a performance. Discounts are available for groups of 15 or more. 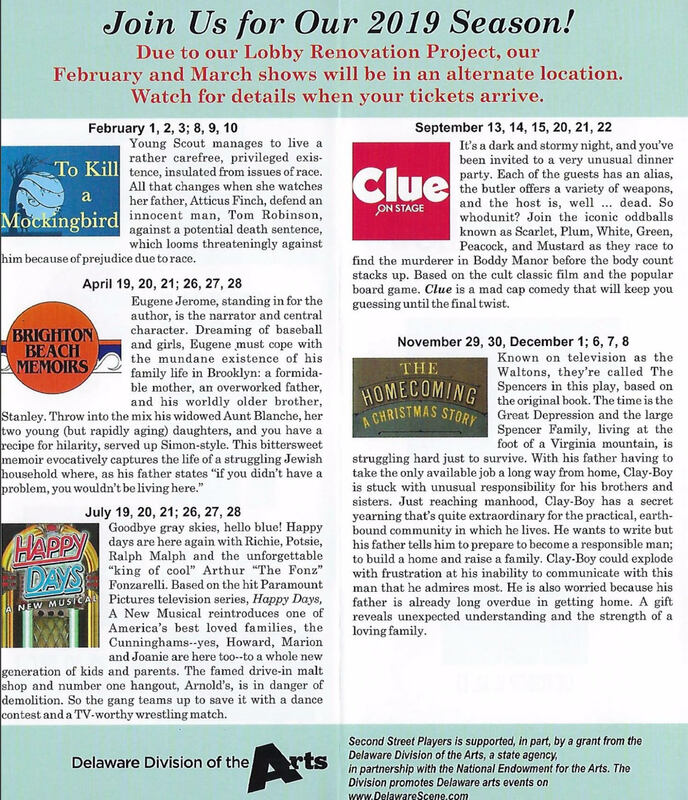 Please email us at info@secondstreetplayers.com for information and rates. 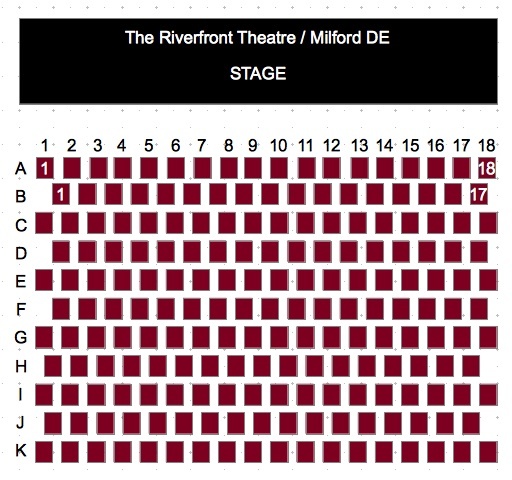 All reserved tickets not picked up at least five minutes before the start of the show may be resold or charged to the purchaser’s credit card. Seating begins approximately 30 minutes prior to each performance. Late arriving patrons may be asked to wait until they can be seated at the House Manager’s discretion. Seniors (65 years and up) and Students (18 years and under). general admission per show and are sold separately. MasterCard, VISA, and Discover are accepted! An additional $5 service fee will be charged for credit card payment. PRINT OUT the form below, fill it out, mail it in, and get your season tickets now! PRINT OUT the form above, fill it out, mail it in, and get your season tickets now! Click for printer-friendly version, then fill-in and mail!